Spoiler: it's all about trading spirits. The free to play location-based PS Vita game Destiny of Spirits has just wrapped up its closed beta period and is preparing for a release by the end of the year. 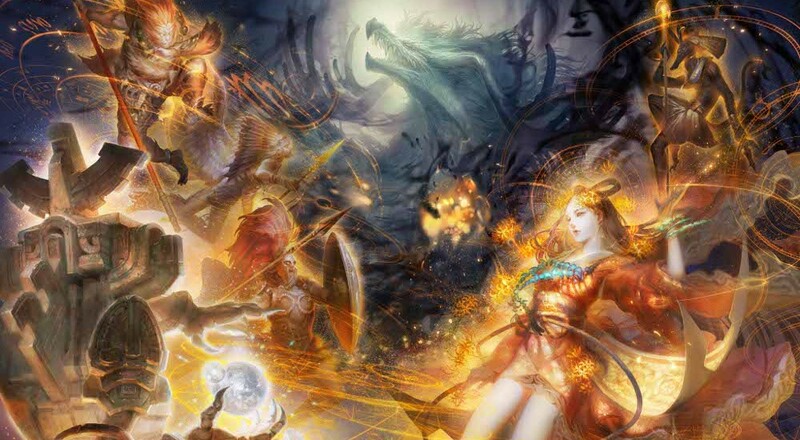 The socially-aware strategy game lets players from around the world work together to battle evil Chaos spirits and purify the world. It's all tied together with a robust spirit trading system that knows where you are and reacts accordingly. It'd be scary if it didn't sound so cool. Destiny of Spirits sends you into battle after battle with little more than a handful of spirits to help you out. Actually, that doesn't sound so bad, does it? You can bet the Chaos spirits aren't going to just roll over and die, though, and since the game is strategy-oriented, expect to sit and do some actual thinking instead of just pressing all of the buttons and hoping for a win. Trading and renting spirits with other players is a big part of Destiny of Spirits. The physical distance between you and your trading partner dictates how long the trade will take to complete. Swapping spirits with someone down the street isn't a problem, but because certain spirits are unique to different geographical locations, you'll want to diversify as much as you can. The more friends you have the more diverse your spirit collection, and the more spirits you collect the more options are at your disposal. Better get that trade with the dude in Antarctica started as soon as possible. That'll take a while. Destiny of Spirits is just wrapping up its beta phase and should be released later this year on PS Vita.